Pay categories have the ability to set rate and penalty loadings which can then be applied to the base rate supplied for an employee. 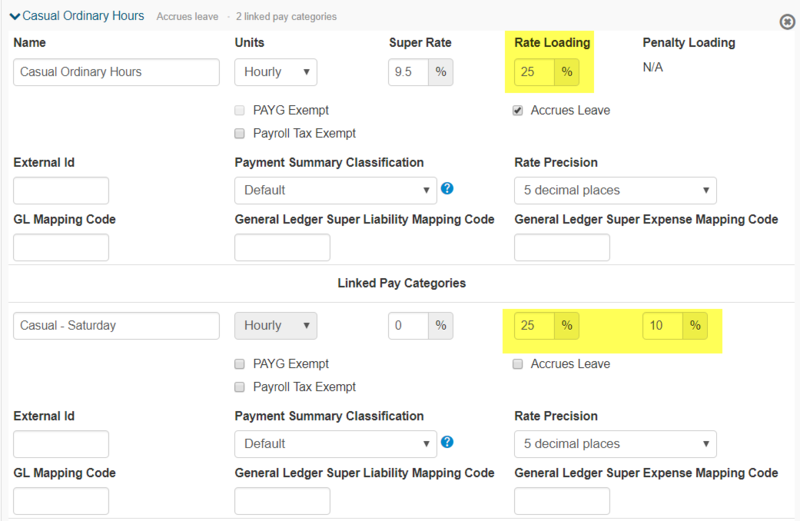 Click on the pay category you'd like to adjust the rate loading for to expand the details of the pay category. In this example, we're going to adjust "Casual Week Days". Once you're done setting the loadings, click "Save".